Update: It’s happening! Follow the action here with NASA. Alternatively, there are other streams below from USA Today, The Weather Channel, and more. I know the Internet is exciting, but depending on where you live, you’ll want to step away from your computer for a bit today, as parts of America bear witness by a total eclipse of the sun. 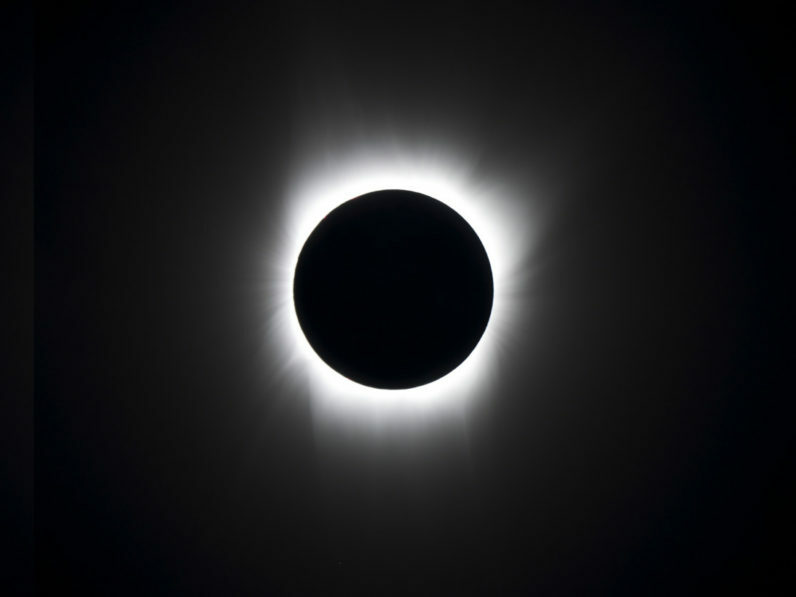 It’s the first total solar eclipse witnessed on the continental United States since February 26, 1979, and the spectacle will cut a path ranging from Oregon in the North, to Georgia in the South. Suffice to say, this doesn’t happen every day. But what if you’re not near the eclipse’s path? Thankfully, you don’t have to miss out, as there are plenty of options to track it online. Here are some of the best. In addition, you can watch USA Today’s rolling coverage on all of the company’s 110 news Facebook pages, including USA Today. It has also created special page on its website featuring USA Today content, along with a map allowing you to track the eclipse, and a countdown clock, so you know when to leave the house and put the special protective glasses on. It shouldn’t be a surprise that Google’s thrown its hat into the (eclipse) ring. If you’ve got a Rift or Vive headset, the company is letting you get the best seat at Mt Jefferson, Oregon. Just open Google Earth VR, and select Total Solar Eclipse. And if you’re curious, you can learn about the science of the eclipse. Just open the Voyager Story in Google Earth. Elsewhere on YouTube, you’ll be able to catch a bunch of livestreams from the likes of NASA, The Weather Channel, Exploratorium, Discovery’s Science Channel, and Univision. The company is also taking the opportunity to gather visual data of the sun’s corona during the eclipse, for use in further research. This is in partnership with UC Berkeley. If you’re curious, you can find out more about it here. As a side note, researchers are really excited about the opportunities this eclipse is offering them. Robin McKie at The Guardian published a really interesting piece explaining why, if you’re interested in that sort of thing. Twitter’s now a place where companies — like the NFL or PGA — broadcast original content in order to reach a larger audience. For the eclipse, the Weather Channel has teamed up with the popular microblogging service to broadcast a show about the ultra-rare phenomenon. Chasing Eclipse 2017, hosted by Ari Sarsalari and Domenica Davis, features on-the-ground footage of the event, complemented with footage from the company’s fleet of drones. As well as the obligatory user-generated content from Twitter (hashtag #Eclipse2017), users can also expect to see Red Bull’s cliff divers, flying underneath the path of the spectacle, plus coverage of an eclipse-themed wedding. The eclipse will be amazing. I’m more than a little upset I live in Europe, as I’ll only be able to watch it through one of the above streams. Fortunately, we won’t have to wait long for another one. In October 2023, another eclipse will make its way to the United States, this time cutting a path from Oregon to Texas, before making its way through Central America. It’s gonna be lit, pun absolutely definitely intended.